Sometimes it’s all about timing! 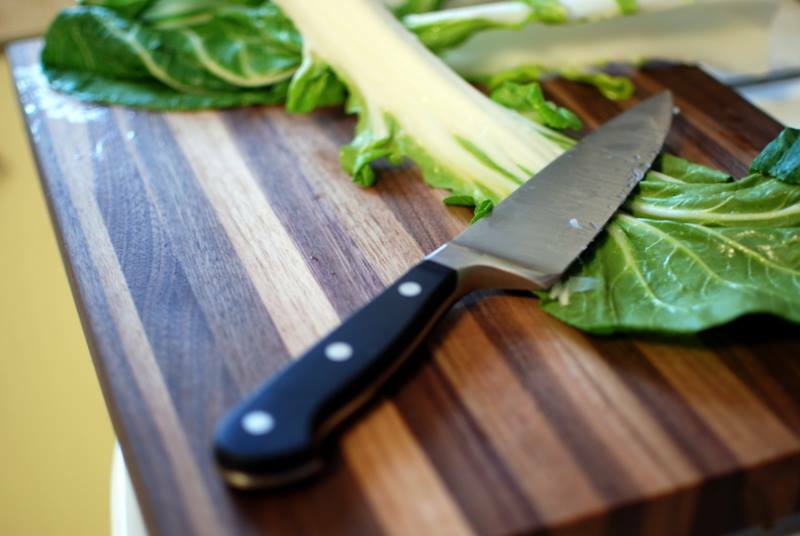 Eva’s hubby contacted us just in time….seems his wife was hoping for an Elle cutting board under the Christmas tree. 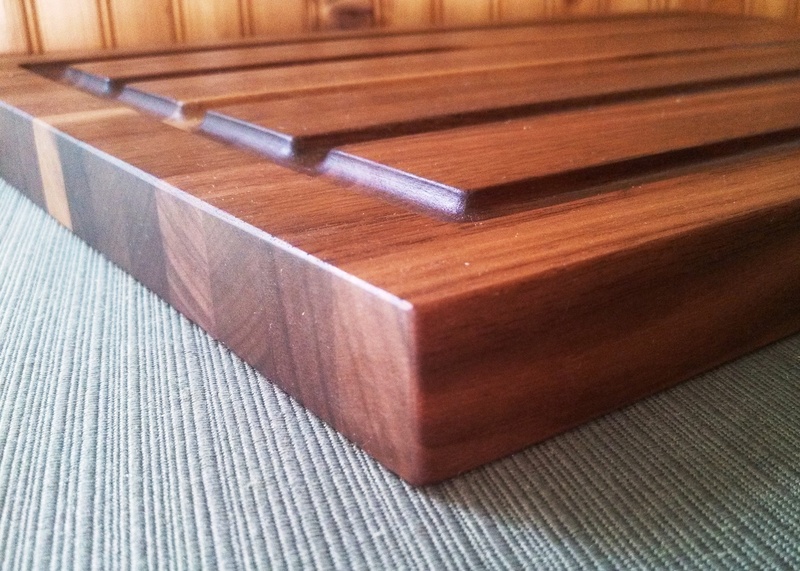 An Elle in walnut – we were happy to make it happen!! This photo (above) was just sent to us with a very thoughtful testimonial – Thank you Brian and Eva!! Buddy and I are having a great time building our “side project” into a small business. The encouragement, advice from our friends, peers and especially clients make all the difference. Thank you!! This entry was posted in Artisan Quality, Creative Woodworking and tagged artisan, cutting boards, gift, holiday. Bookmark the permalink. Wonderful photo of Elle in use. Isn’t the finished photo the most fun? We find that to be the case on our projects, big or small. Thank you – yes, we agree!! 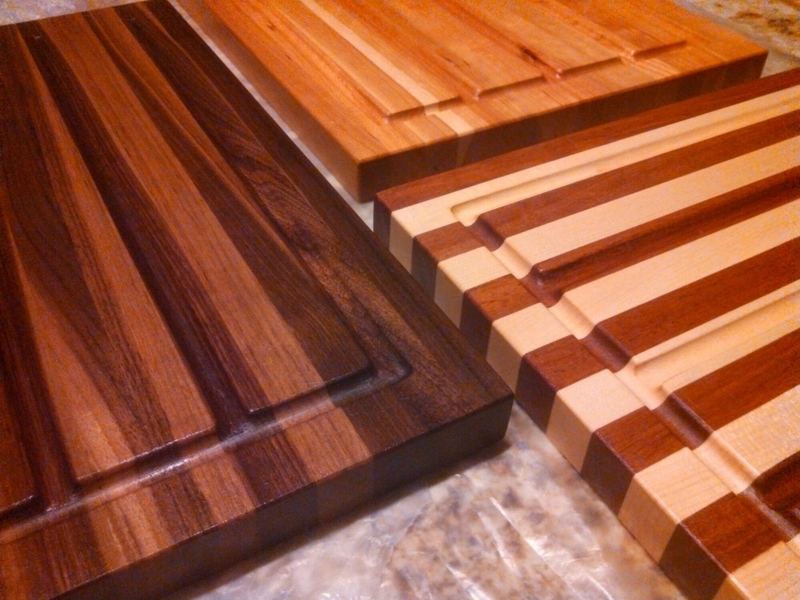 Beautiful cutting boards. Nicely done.